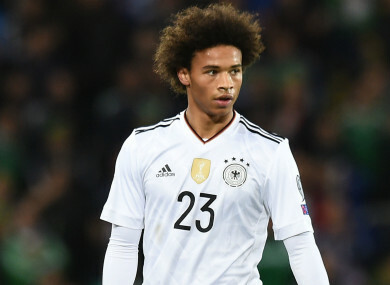 MICHAEL BALLACK EXPRESSED his surprise at Leroy Sane’s omission from Germany’s World Cup squad. Manchester City attacker Sane, 22, was left out of the 23-man squad by coach Joachim Low. Former Chelsea, Bayern Munich and Germany midfielder Ballack used social media to give his take on the exclusion of the PFA Young Player of the Year. “Germany’s Low puts himself under massive pressure with this decision,” he wrote on Twitter. Sane is yet to score for Germany in his 12 caps with the senior team, but had an impressive second season at Manchester City, where he scored 10 league goals and had 15 assists. Email “Sane exclusion puts Low 'under massive pressure' – German legend Ballack”. Feedback on “Sane exclusion puts Low 'under massive pressure' – German legend Ballack”.